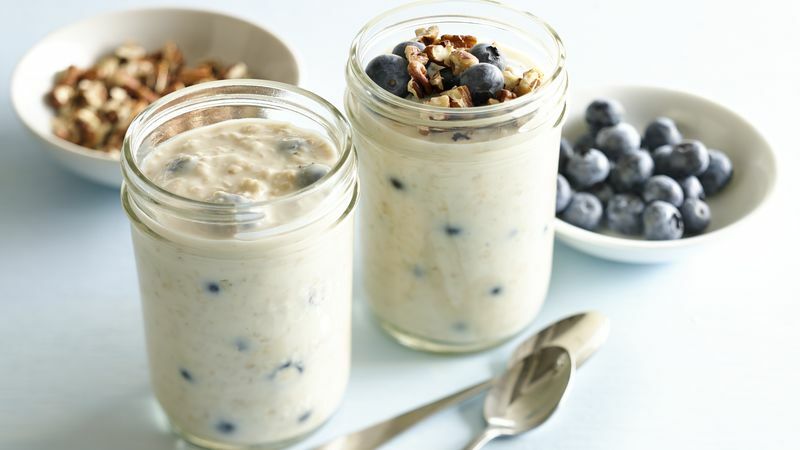 In container with tight-fitting cover, mix almond milk, yogurt and oatmeal. Stir in 1/2 cup blueberries. Cover and refrigerate overnight. Top with toasted pecans and extra blueberries. What mood are you in today? Use kiwifruit, strawberries, raspberries or even sliced grapes. Looking for double almond overnight oatmeal? Use sliced almonds instead of the pecans.